My name is Michael A. Botticello, Jr. I served on active duty for just shy of 17 years, then due to a shoulder injury and multiple surgeries later I was medically retired as a disabled Veteran of the United States Navy. Knowing my naval career was cut shorter than what was originally planned, 6 years ago when the message to retire came out I asked myself, “What should I do?” I decided to take a leap of faith and take my hobby into a business. After quickly realizing you cannot make a living out of your garage doing hobby work. I then pushed myself to obtain a degree in Business Management with a Minor in Human Resources. Now armed with my degree, a business plan to do custom woodworking in a commercial environment at a commercial level, we have become a great success processing thousands of products worldwide with a great team each month growing each year! I proudly live and work in Tennessee, just North of Memphis in small town USA with my wife Jennifer who teaches 8th-grade Algebra. We have two awesome children Madison and Michael. I thank each one of my staff members, as this dream and vision are supported by them daily. To each one of my family, friends, business vendors, and Shipmates that has supported us over the years, I thank you! For those of you that told me this was a waste of time or would never happen…“how about those apples.” Blood, sweat equity, and long hours, anything is possible. Michael is my Neighbor, Friend, and now after almost 6 years, our most experienced Carpenter being creative with wood in all species. After a Gunners Mate Naval Career of 25 years, he went right into work with Custom Coin Holders LLC from the foundation of when we first opened the business right out of the Owner’s garage. Michael and his Wife Jill are the proud parents of 3 children…Michael Jr, Jordan, and Nathan all of which are attending local colleges. 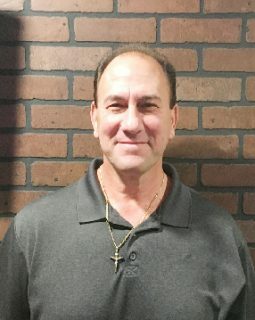 Michael A Botticello Sr. has worked at Custom Coin Holders LLC since 2012. He is one of three Master Carpenters and an expert of Mass Manufacturing woodworking in large quantities all within a very proficient amount of time. He has a 5-year background in both Carpentry and Spray finish coats onto the wood. He is a retired Post Master with a Postal Career of 34 years. He and his Wife Theresa have four children and five grandchildren. He is also the proud Father of the Owner, Michael A. Botticello Jr.
Nathan has proven to be a great asset to our company. He assists us as a Part Time employee in prepping thousands of boxes in all of our logistics needs. He also helps pack, check and do final wipe downs on all our products that ship. If Nathan is not shipping he is assisting the shop carpenters in keeping their stations clean and organized with moving thousands of board feet in lumber each month. 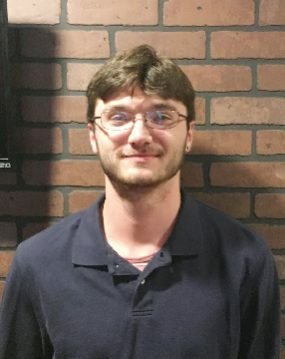 While he is in his off time, he attends Dyersburg Community College as a student obtaining a degree in Philosophy. Like George Cook, Russ and I met almost 9 years ago while on active duty together in Millington TN as detailers. He has 26 years of active duty in the United States Navy. He has worked part-time for CCH since 2010. 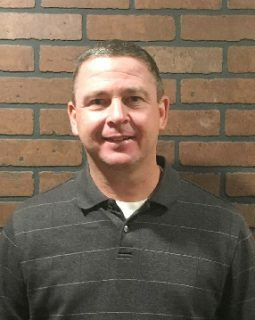 He currently assists in the roles of New designs, CNC Operations, and he plans for the logistics of about 5,000 pounds worth of lumber each month. 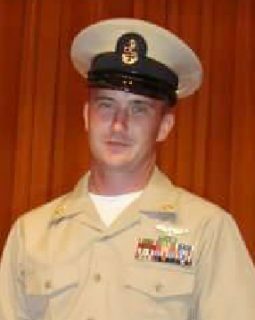 He resides in TN with his wife Heather, and his two great kids Nathan and Zachary. Chris Atkinson and I have been longtime friends dating back 15 plus years. Stationed together in 2002 we made multiple deployments both in HS-11 and onboard the USS Enterprise. Over the years we always stayed in touch and Chris has always supported the company with his gift of being able to maintain or fix any type tool what so ever. 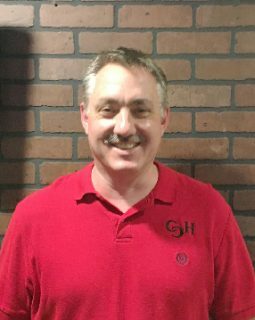 Although still a Senior Chief after 25 years in the United States Navy, he still finds time to assist CCH Part-time with a tool program keeping all our machines online at all times. 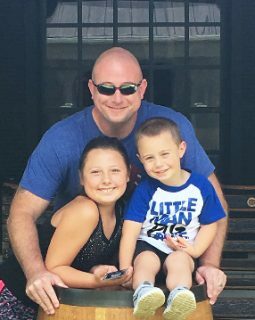 In his Off Duty time, he goes on Duty as he also just recently graduated the local Police Academy and is a Reserve Police Officer in Munford, TN. As he assists CCH and dons two different uniforms he is also the proud husband of Cindy Atkinson, with their two great children Christopher and Ciera. George Cook is a good friend and we first met while on Active Duty together stationed in Millington, TN as detailers. He has been stationed all over the country and has a background in P-3 Aviation. In his off-duty time he shows a passion for woodworking, specifically final coating. So since the conception of the company we employee him part-time to this day, at least when his schedule allows. 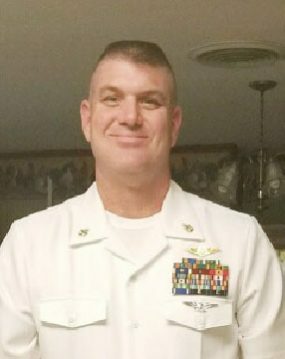 He has 21 years service in the United States Navy as a Senior Chief Petty Officer stationed at NAVMAC. He resides in TN with his wife Heather, and his two great kids RJ and Hayley. John Carter Just started working for CCH at the beginning of 2018. Although not too far off neighbors we met while he stopped in every couple of weeks in delivering the mail as John was at the Post Office doing part time work. He was a C-17 aircraft mechanic in the U.S. Air Force for 21 years. 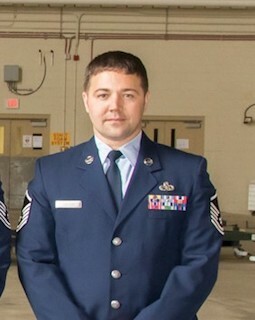 He retired in 2015 as a Master Sergeant (E7). After several conversations with him I knew right away he would make a great addition to our company and that has held true since the day he started! He lives in Atoka, TN with his wife Kelli and 2 kids Lauren and John Douglas.